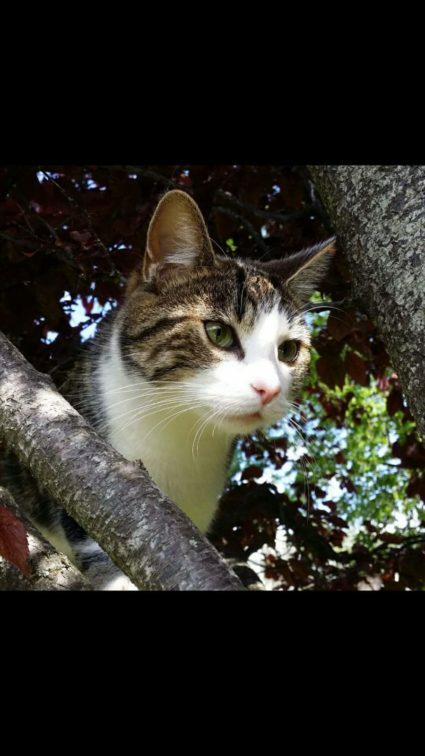 Penny is missing since morning of 11 March 2019 near corner of Blackhorse Avenue and North Circular Rd. She was hiding in engine of car and jumped out at this junction, so must have gotten a fright. She is female, microchipped and neutered. 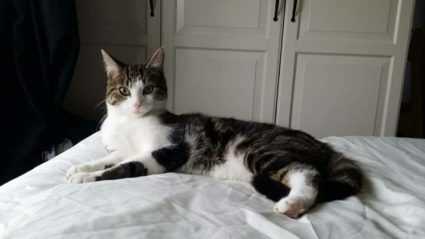 Tabby, white chest and paws, white spot on rear right thigh. No collar. A very affectionate and gentle cat, she is missed especially by two young boys. She usually prowls the lane and gardens between Glenbeigh Rd and the train tracks has never been out on NCR before, so we are worried. Please call Michelle at 0874166595 if you find her.